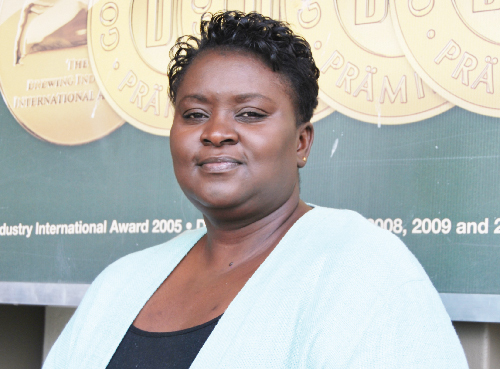 Rosemary Shippiki has been appointed as Namibia Breweries (NBL)’s national marketing manager. Her appointment is effective 1 January 2012. Shippiki joined Namibia Breweries in 1996 as a marketing assistant and has grown in various brand management roles over the years, to now lead the marketing team which owns the internationally acclaimed Windhoek trade mark and other prized national brands such as Tafel Lager. Shippiki, who holds a MA in Marketing Management from the University of Middlesex, says she is looking forward to coaching and mentoring the marketing team and is grateful that her growth path included diverse exposure in the marketing department over the years. One of Shippiki’s highlights was to manage the company flagship brand Windhoek Lager and seeing it grow to Namibia’s No 1 premium brand.